As a city with a population around 286,000 people, Plano has made it clear what is important to them. The area has over 700 restaurants because people there like to eat. Plano is home to a handful of large corporate companies because people there like to work. And the city has a thriving downtown scene because people there like to have fun. Though it was originally named “Fillmore” when the area was founded back in 1848, the locals quickly changed the name to Plano. Translating to the word “plain” from Spanish, it was a very fitting title for the city at that time. But today, Plano is a growing community with a lot of great people, strong schools systems, and plenty of fun activities for everyone to enjoy. 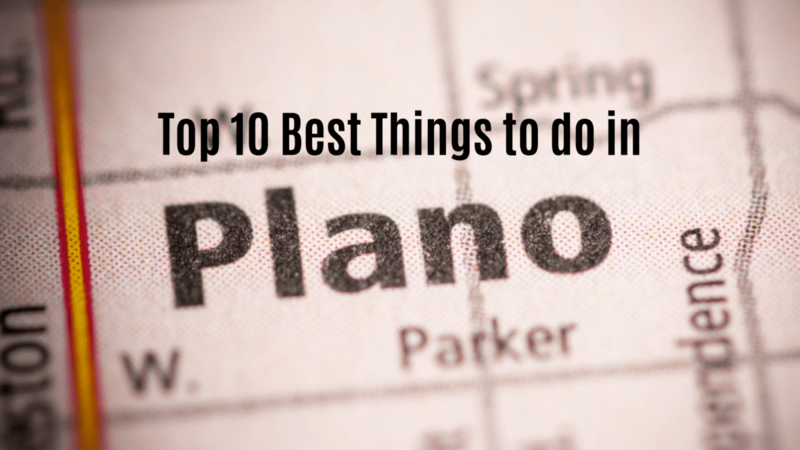 Need to know the best things to do in Plano? Whether you’re currently living in Plano or plan on moving there soon, this list will give you at least ten ideas of where you can spend your time around town. Most cities in the US have a downtown, but few of them offer the same level of history, art galleries, local events, and shops as Historic Downtown Plano. 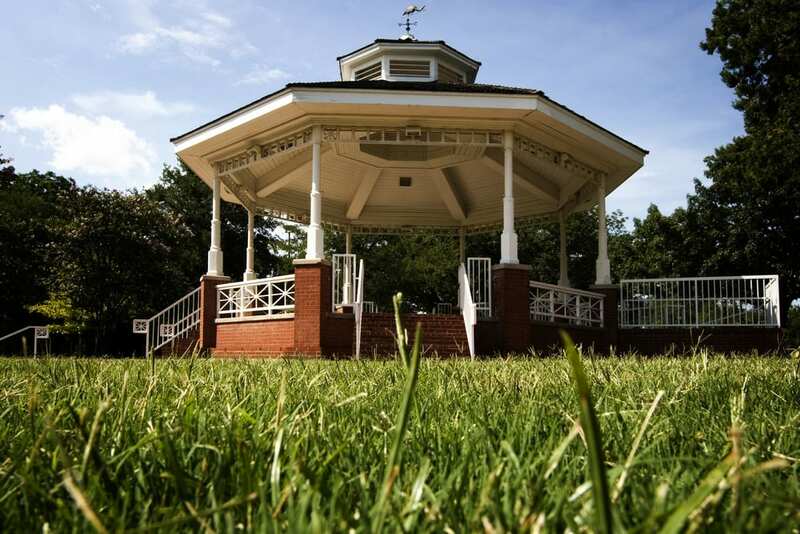 With a full calendar of activities and great restaurants, everyone will love all the fun options this area has to offer Grab a bite to eat at places like Raising Cane’s or Jorg’s Cafe Vienna. From there, you can make your way through the many shops from children’s boutiques and furniture stores to a custom scooter company. There are plenty of activities for every interest in the downtown area. As the main shopping center in town, the Shops at Legacy is a fairly straightforward mall with shopping, eateries, and entertainment. But you won’t see many brand names among the stores inside. Instead, you’ll find unique jewelry stores like Another Time & Place, women’s fashion from Apricot Lane Boutique, and classy men’s apparel from Travis Mathew. When you get hungry, skip over to the food court for some delicious sandwiches from Potbelly, a slice of pizza from Fireside Pies, or some authentic Italian food from Cafe Intermezzo. And once the sun goes down, you can enjoy the local nightlife at one of the center’s pubs or nightclubs. If you’re looking for relaxing things to do in Plano, one option would be a visit to the nearby Heritage Farmstead Museum. For a small fee you can get a behind the scenes look at what it was like to live on the Blackland Prairie. You can choose between a guided or self-led tour around the 4.5-acre property to see the varying exhibits, antique furnishings, and other collectibles. Both children and adults will enjoy the museum programs to learn new skills during seasonal camps. The farm is also available for rent to hold events like birthday parties, private gatherings, and even weddings. 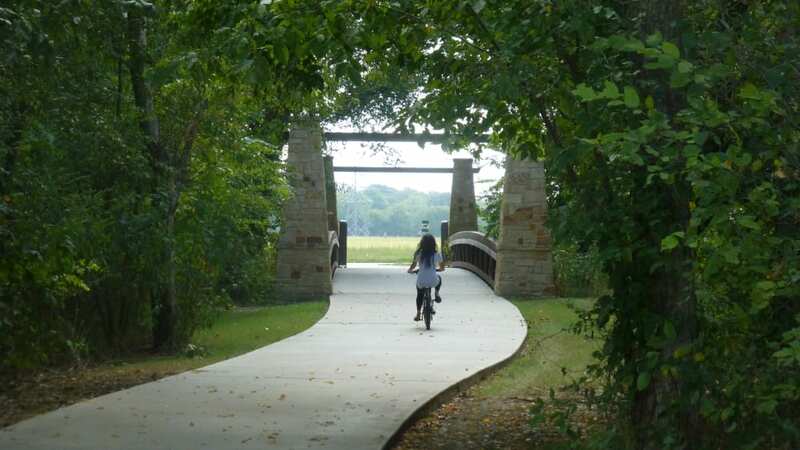 As Plano’s largest park, Oak Point Park and Nature Preserve covers over 800 acres. The area features 8.5 miles of walking trails for joggers or folks who simply want to go for a stroll through the park. Guests can hold family events by reserving one of the pavilions for picnics and other get togethers. The park offers an adventure playground to keep kids entertained for hours on end, along with vast green belts for open space to run and play. If you want to go out on the pond, visitors are welcome to bring their own kayaks, canoes, or paddle boards. If you’re looking for the ultimate destination in Plano for indoor activities, look no further than Pinstack. This venue offers a wide variety of activities for kids and adults of all ages. Guests can go bowling, climb the rock wall, and even play a round of laser tag. Head there for a team or family event, or simply take the kids for a fun evening out. Try out the high ropes course, unload some stress on the bumper cars, or jump straight into the arcade for a night of gaming. The restaurant offers great food, snacks, and a wine bar for the big kids. An extension of the Shops at Legacy is the city’s most popular movie theater. Head over to the Angelika Film Center to catch recent movie releases, as well as other B-movie options. But this special movie theater offers much more than just a regular cinematic experience. This film center provides light gourmet fare you can bring straight into the theater with you. Enjoy comfortable seating, Dolby Digital sound, and add a glass of craft beer or wine to your food order. As a special treat, Angelika Film Center also holds occasional live events like plays and concerts in their auditoriums. Now this one may cater to a fairly specific audience, but as one of the few free things to do in Plano, many people enjoy a visit the the Interurban Railway Museum at least once. The museum cycles through seasonal exhibits and often has temporary side exhibits on display as well. Visitors may find anything from old baseball memorabilia to presentations about Plano’s diverse history. Visits are always free for both children and adults. One of the best things to do in Plano with kids is attend the weekly story time sessions at the museum. Local librarians and storytellers come every Friday morning at 10:30 am to read books to attending children. Another great option for Plano residents with children is Adventure Landing. Following a similar standard to Pinstack, this local venue swaps out the bowling lanes for batting cages. Guests can opt for slow pitch or fast pitch, based on their age and preference, with full equipment rentals included. Along with the batting cages, you can also play some miniature golf, take a spin on the bumper boats, or game in their arcade. If you feel the need for speed, head over to the Adventure Speedway for a go-kart ride around their quarter-mile track. The ArtCentre is an art lover’s paradise packed into one building. As a local non-profit corporation, they hold frequent art gallery events, educational art classes, and fundraisers. Local artists can join the ArtCentre programs, volunteer at events, and even exhibit their own art projects. One visit will be all you need to gain a desire to return again and again for each new event and art show. Even though we’ve mentioned a couple food options above, a true list about any Texas city needs its own section for local restaurants and drinks. At the top of most Plano residents’ list, you’ll find Whiskey Cake, a popular restaurant with a Texas-sized menu. A unique place to grab a bite is The Latin Pig, where you can feast on an array of Cuban, Caribbean, and Native American foods. If you’d like to try something new, head over to Smoke for some fire-roasted oysters, pimento cheese croquettes, or cider vinegar prime rib. A final addition to this list has to include some good old-fashioned Texas BBQ from Lockhart Smokehouse. 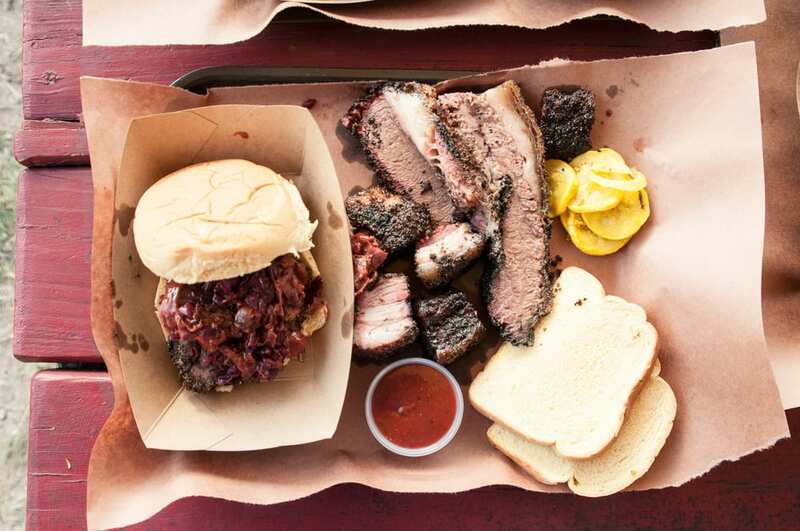 Recognized as one of the best places to eat in Plano, whether you’re in the mood for ribs, brisket, or pulled pork, your mouth will be watering from the moment you step through the front door. With Dallas right down the road, easy access to nearby lakes, and more outdoor activities, this is far from an all-inclusive list of the best things to do in Plano. Everyone living in this city loves the local atmosphere, seasonal events, and great food choices. Are you moving to Plano? All of us here at Mighty Movers would like to be the first to wish you a Texas-sized welcome! If you’re in need of assistance with your upcoming relocation, please be sure to check out our list of Plano moving services and let us know how we can help. Give us a call at (214) 733-4411 for a free quote or to learn more about our moving offers.